Goldman Sachs, one of the earliest members of the R3 blockchain consortium has reportedly chosen not to renew its membership with the working group. 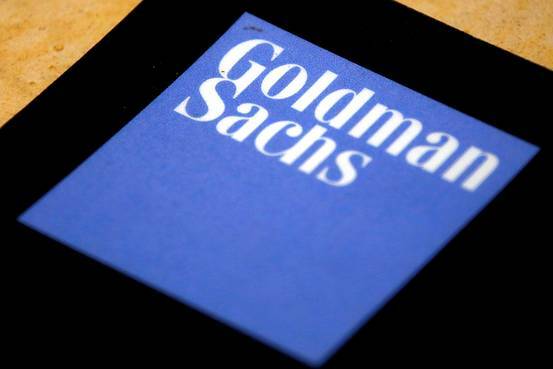 In a report by the Wall Street Journal, investment banking giant Goldman Sachs has elected to let its R3 membership lapse and stopped being a member effectively as of October 31. The exit is notable following a steady influx of members that includes banks, insurance giants and technology firms that have – over the past year – added to R3’s member banks. Still, a spokesperson for R3 played down the significance of the exit, stating that member departures are to be expected. Quote: Developing technology like this requires dedication and significant resources, and our diverse pool of members all have different capacities and capabilities which naturally change over time. Goldman Sachs’ exit comes in the days following R3’s announcement that it’s blockchain software Corda, developed over time among its members and the startup, is to go open-source. Throwing a hint for a possible reason behind the separation, the WSJ report also reveals R3’s efforts to seek equity investment from its members, in return for a stake from proceeds of future implementations of its blockchain solutions. Despite its exit, Goldman Sachs continues to be heavily involved in blockchain development and research. Further, its involvement in other blockchain initiatives and projects could simply mean an increased focus on its own blockchain-based objectives specific to its core processes. The bank is a notable investor in possible R3 competitor Digital Asset and has filed multiple payments for its own cryptocurrency and a blockchain solution for foreign exchange trading. Sberbank has also revealed its interest in joining the R3 blockchain consortium. While Russian authorities and officials have frequently poured scorn on bitcoin and digital currencies, going as far as to craft laws aimed at criminally prosecutingadopters and miners, the head of Russia’s largest bank has revealed that he has owned and exchanged bitcoins for fiat currency. Herman Gref, CEO and chairman of the executive board of Sberbank, Russia’s largest bank by assets has, in a public talk, spoken to the benefits of virtual currencies while opining how they will soon permeate into society, as reported by Russian news agency TASS. Speaking at the presentation of a joint educational project between the bank and Google, Gref also revealed how he used virtual currencies by speculating their value and exchanging them into fiat currencies, back and forth. Quote: Now, there are more and more virtual currencies [as well as] virtual currency exchanges. I have easily exchanged virtual currency into regular [fiat] currencies and so on so forth, with pleasure. Quote: I had a few bitcoins, I did not like the value [at the time] and I put them on hold and said when they reach a certain value, please, convert it into rubles and dollars. Two and a half months later, I noticed that [Bitcoin had taken] such a course and I took the conversion. Quote: This is of course, a great pleasure and a nice game but soon, it will be our whole life. Gref is notable for his straightforward publicly-revealing stance on digital currencies, having previously criticized Russia’s proposed bitcoin ban. Such a measure would hinder Russia’s development of blockchain technology, according to the banking executive. Humans are social creatures and society is based on interpersonal trust relationships. If you hear from the CEO of an oil company that global warming is not a man-made phenomenon, you may believe that he might be biased, and such information would be taken into account in deciding whether or not to take him at his word. By the same measure if you read an article on Cointelegraph that recommends the Stellar Consensus Protocol, you would be favourably disposed to investigate it, because you know that the author of the piece is a highly cultivated gentleman and a distinguished scholar. We weight the value of the information we receive by the degree to which we trust the source of that information. This is a remarkably effective heuristic for filtering through the deluge of information that seeks to DDOS our senses in the digital age. The world’s most cited scientific journal is titled Nature, because ideally the goal of science is to discover and utilize fundamental characteristics of the natural physical world and universe. The Stellar Protocol recognizes the natural information provenance heuristic described above and applies it in an ingenious way to the manufacturing of consensus in a distributed system. It just so happens that the information provenance heuristic is the selfsame one that the author of this article used in his initial evaluation of Stellar. Blockchain transaction networks are distributed systems, so one would expect that the knowledge required to create the file sharing platform eDonkey, would serve as a solid foundation to bootstrap one’s appreciation of cryptocurrency systems. The world’s first Bitcoin exchange is associated nowadays with chicanery and malfeasance of the highest order, however that was mostly the work of “MagicalTux” a.k.a. Mark Karpelès. Before Mt. Gox imploded, it was the brainchild of Jed McCaleb who began the exchange after having created eDonkey. McCaleb sold Mt. Gox to Karpelès in 2011. Subsequently McCaleb conceived the idea of the Ripple payment protocol, one of the undisputed darlings of the Blockchain ecosystem with multi-million dollar venture funding rounds under its belt and large global financial institutions among its list of satisfied customers. This is interesting pedigree and with knowledge of the history of the organisation, and when one is made aware that McCaleb is also a co-founder of the Stellar Development Foundation, it might provoke one to consider Stellar more closely. Even if McCaleb was the sole operator of Stellar, that would have been enough to peak the curiosity of most people, however, Stellar also has Professor David Mazières in the role of chief scientist. At Stanford University, Mazières leads the Secure Computer Systems Group and if these qualifications are not enough to convince you to take a look at Stellar, Mazières is also a past master in the subtle art of UX, as is evidenced by his phenomenal personal website. Now that you know a bit about Stellar, and your information provenance heuristic has been satiated, the next logical question that comes to your mind is “how can I interact with Stellar myself?” - fret not - in that regard we also have you covered. Stellar aims for the stars, and the nearest star system to us is Alpha Centauri! The next step towards getting there is a functional app for sending and receiving payments with Stellar. Centaurus is the first wallet application build for deployment on the Android platform and was recently awarded best wallet in the Stellar Build Challenge. As the ecosystem around the Stellar network continues to grow and flourish, it will be interesting to see how the system develops. The information that you decide to propagate to the nodes in your social network, and what you choose to say to those nodes that trust your personal judgement, will have no small part to play in that story. Deloitte has revealed that it has integrated with Stellar, financial platform developers, to build a cross-border payments application. Designed to serve two customer segments, consumers and businesses, the Deloitte Digital Bank launched at the Consensus conference in New York in May 2016 and is now available to power instant payments across borders. Consumers can use the Deloitte Digital Bank mobile application, which is available on iOS. With the mobile app, users create an account by scanning their driver’s license and can make instant peer-to-peer payments. Businesses instead access the Digital Bank through a web portal. The B2B product supports all of the features business payments require, including invoice tracking and reference numbers. All transactions resolve in around 5 seconds. By this time next year, Deloitte estimates that they will have launched a product in partnership with a financial institution. With a sales team of 250, Deloitte will spend 2016 investing in relationships with financial institutions around the Digital Bank product. In keeping with the Stellar.org roadmap, Stellar.org will continue to help consulting firms and financial institutions solve big problems. For a computer programmer whose career has been largely under scrutiny since hefounded defunct bitcoin exchange Mt Gox, the idea of taking on a more public role at Stellar was intimidating. But, he says it was a necessary step for the startup. Quote: "We've spent the past two years building a product, and now we're showing it to the world." In his first public appearance, McCaleb spoke onstage at the Exponential Finance conference with Barclays Africa's CEO of corporate and investment banking, Stephen van Coller. Coller said that to reach such efficiency his team searched for a scalable service that didn’t use existing payments rails "because that’s where the cost is today". "Our belief is that this needs to be an open platform, rather than run by just a single bank," he said. "Every government should be building this. They should be building cheap payment rails within their country." But, Barclays isn't the only bank interested in Stellar. In May, consulting firm Deloitte announced that it was using the startup's technology to build a blockchain-based service for a bank outside of North America, but it didn’t share the name of the bank or in which region it is based. Otherwise, he said the company's strategic plans are unchanged. In May, Stellar published a company "roadmap" for how it plans to achieve its goal of serving theroughly 2.2 billion people in Africa currently without adequate banking services, one country at a time. "We're mainly focused on Nigeria because I think it’s important to start in one particular region and achieve ubiquity there," said McCaleb. "Because we’re starting a network and you need to be able to send money to people you know." Quote: "I think that one of the most powerful things that this technology is going to do for the world is actually get everybody into the same financial network." Stellar Protocol's Stellar Build Challenge encourages developers to build applications using the platform and win attractive Lumen rewards. As the Stellar ecosystem continues to grow, creators of the blockchain based financial platform have decided to further strengthen the codes by leveraging the power of the crowd. The Stellar Protocol has announced the launch of its Stellar Build Challenge where they encourage the developer community to build new products on the platform. According to Stellar’s recent release, the Stellar Build Challenge will be divided into four categories – Anchors, Applications, First-time Submissions and Exchanges. Each of these categories will have their own awards, granted to the submitted projects upon review by a panel of jurors. The announcement about Stellar Build Challenge comes right before the platform’s Bitcoin-Lumen giveaway program, which is expected to begin early next month. The Bitcoin-Lumen program will see Stellar offering its Lumen crypto-tokens to the Bitcoin community for free. The amount of Lumens offered to Bitcoin holders will be equivalent to the percentage of total bitcoin held by the bitcoin user at the time of the program’s launch. Stellar will be publishing a snapshot of the Bitcoin blockchain, with the record of bitcoins stored across the wallets. The unclaimed Lumens left behind after the program’s completion will be used to fund the Stellar Build Challenge awards. The Anchor category will include banks, licensed money service providers and mobile money operators that use Stellar network to accept deposits, issue credits and honour withdrawals. Application categories will include apps like wallets on built on Stellar network. Similarly, the Exchanges category will include exchange platforms supporting Lumen trading. Each category has different award slabs as listed below. In addition to these awards, First-Time submissions will be eligible for quarterly rewards of 200,000 Lumens. The submissions will be verified to ensure that they meet the defined criteria before the payout. The jury members along with their Stellar Slack handles are listed below. Developers have to submit their open sourced GitHub account containing their applications built on the Stellar platform to gain entry into the Stellar Build Challenge. The submissions will be judged in the middle of September and the results are slated to be announced by the 1st of October. One of the co-founders of digital currency payment network Stellar has announced her resignation. In a statement published to her personal blog, Joyce Kim said that she would be “passing on the torch” of executive director to her co-founder, Jed McCaleb, who co-founded Ripple and was the original owner of Tokyo-based bitcoin exchange Mt Gox. Though resigning from the executive director post, Kim said that she would continue in her capacity as chairperson of the startup's board. In the blog post, Kim indicated that slow-moving legal changes in the financial industry and increasingly specialized product design played a role in her decision. But she added with a hint of optimism that her work abroad in micro-finance would impact her involvement with future projects. Quote: "I count myself lucky for this experience as there are very few times in our careers when we design products beyond the tech-included demographic. I want to take these learnings with me to other parts of our ecosystem as well." Kim and McCaleb founded Stellar in 2014 with the aim of helping to facilitate low-cost transactions for users that lack access to traditional payments channels. Early on, the project positioned itself as geared toward the world's underbanked in developing regions. As its basis, Stellar used a fork of the original Ripple consensus algorithm that was later altered following network issues. Stellar would find itself the subject of controversy after its founding, when a lengthy report in theNew York Observer offered a take on Kim's and McCaleb's exit from the Ripple project. Stellar would ultimately be drawn into a legal dispute between Ripple and several other parties over roughly $1m in disputed funds. Earlier this year, the dispute was resolved when those funds were released to Stellar. Kim says she plans to take the summer off to “think, read, and reflect” on her next steps during an exploratory trip that will include visits to Ecuador, Sweden and Spain. She said expects to return by the end of this summer. Quote: "I will return from my travels bursting with energy, ideas and likely a dinged up surfboard." Decentralized financial system, Stellar, invites the members of the Bitcoin community to claim their cryptocurrency, Lumens. With around 19 billion Lumens being distributed in multiple rounds to anyone based on the quantity of Bitcoin they have, people can start claiming their Lumens on July 5, 2016. Due to restrictions, the program is closed to the residents of New York, Georgia, New Hampshire, Connecticut and any countries on the U.S Sanctions list such as Iran, Cuba, and North Korea. Stellar itself is a network which, unlike regular blockchains, uses the Stellar Consensus Protocol (SCP) based on the federated Byzantine agreement instead of traditional mining. This speeds up the transactions process to within seconds while traditional Bitcoin transactions take roughly 15 minutes. “The Stellar Consensus Protocol (SCP) provides a way to reach consensus without relying on a closed system to accurately record financial transactions. SCP has a set of provable safety properties that optimize for safety over liveness—in the event of partition or misbehaving nodes, it halts progress of the network until consensus can be reached. SCP simultaneously enjoys four key properties: decentralized control, low latency, flexible trust, and asymptotic security. It is different than mining. 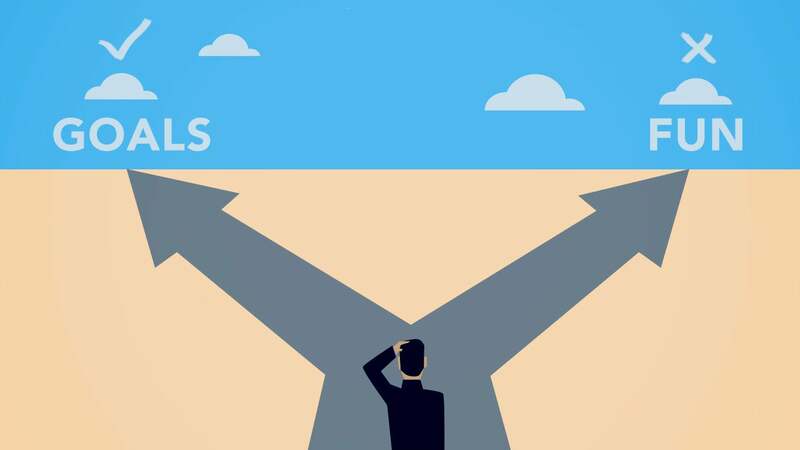 There are tradeoffs to each.” explained Jed McCaleb, co-founder of the Stellar Development Foundation. “We believe in community­-based ownership of the Stellar network and want early digital currency enthusiasts such as Bitcoin holders to feel at home in the Stellar community.” said McCaleb. Lumens are the cryptocurrency which makes Stellar transactions possible but it is a “behind-the-scenes” currency and there will be a supply increase of 1% each year, stated McCaleb. Even though Lumens are still used for transactions, Stellar allows buyers to create transactions in their choice of currency such as the US dollar and Bitcoin. Stellar will be setting up a claims page in July with 3 billion Lumens available so those who are interested in their acquisition can then deposit them into a Stellar account. A verification process will also be in effect to verify that you own and control the Bitcoin address you submit. According to McCaleb the first round of Lumen distribution will end on October 5, 2016 and any unclaimed Lumens will go into the platform’s operational fund. Bitcoin holders can even participate if they have accounts on any participating exchanges commencing July 5th. If you are an exchange or a business with a pool of Bitcoins for customers, email the Stellar team at: bitcoin@stellar.org from your business email to acquire Lumens for distribution among your users. There is no information about the next round of distribution and this will be decided after the completion of first round. One of the first African countries where Stellar is hoping to make a name for itself is Nigeria. Thanks to a strategic partnership with Oradian, the plan is to bring instant and cheap money transfer solutions to close to 300,000 residents. The topic of cheaper money transfers throughout African countries has been kicked around a few times in the past. Most of the established banks are not looking to expand in the region, simply because the costs would far outweigh any possible gains. But digital currency and distributed ledger technology can become a big player in this areas, and that is what Stellar is planning to do. One of the first African countries where Stellar is hoping to make a name for itself is Nigeria. Thanks to a strategic partnership with Oradian, the plan is to bring instant and cheap money transfer solutions to close to 300,000 residents. Especially the rural areas of Nigeria will stand to benefit from this project, as collecting money through regular remittance solutions is expensive and will force them to travel around quite a bit. Some people may remember Stellar as a project that started out as an open source idea where users could sign up and earn Lumens. Back then, the Lumen was the digital currency associated with the Stellar project. But the Stripe-backed payment network project decided to take a different route not so long ago, and they are not focusing on making the exchange of existing currencies much smoother. The partnership between Stellar and Oradian is an interesting one, considering how the latter company is known for selling cloud-based software to micro finance institutions. Their main audience is located in developed countries, making Nigeria a promising candidate for combining micro finance with a vast knowledge of distributed ledger technology. As part of this joint venture, Stellar and Oradian will bring cheaper money transfer solutions to Nigeria. The Stellar platform will be integrated into Oradian’s core software, allowing for instant money transfersregardless of location. This project will also eliminate the need to deal with cash transactions when trying to send and receive money in the country, creating a far more secure financial solution. Succeeding Where Bitcoin Couldn’t Yet? As is always the case with new projects such as the partnership between Oradian and Stellar, it remains to be seen whether or not the Nigerian citizens will make use of this service. Even though there seem to be plenty of participants regarding micro finance institutions, there is no guarantee for success. Nigeria has the largest economy in Africa as well as the continent’s largest population. At the same time, the local economy is not exactly noteworthy, creating a power void that needs to be filled sooner rather than later. If this trial is deemed a success in the future, Oradian will be looking to bring this service to other countries as well, and the Stellar network will support every transaction. Bitcoin, the most popular digital currency in the world today, has not been a major success in Nigeria or other African countries just yet. Despite allowing for even cheaper transactions, and removing the need for bank accounts or financial institutions completely, people have not flocked to the digital currency just yet. If Stellar can pave the way for cheaper money transfer solutions, Bitcoin might be able to gain a foothold in Nigeria over the years to come. The Stellar Development Foundation will begin to offer lumens this week through several regulated exchanges, including Kraken. Stellar will offer the lumens directly to the exchanges, who will then effect the transactions. Users need to be a customer of an exchange to participate. The current plan is to offer the lumens in small amounts on separate occasions and at the market price on the exchange at time of placement. Since Stellar’s upgraded network went live, developers from its community have built some new projects and integrations, including Centaurus – an open source Stellar app for Android, Kraken – a Bitcoin exchange based in San Francisco, Lobstr – an iOS, Android, and desktop wallet for Stellar, VC Bear – a Japanese gateway, and Poloniex – a Bitcoin exchange based in the United States. Stellar also reported this week that its co-founder and director, Joyce Kim, is speaking at the World Bank’s “Conference on Migration and the Global Development Agenda“, and will address how Stellar can help lower the cost of remittances for migrant communities. The foundation is positioning Stellar as a global financial platform to make it easier for people around the world to transact in any currency. The platform’s open-source infrastructure is designed for any community to build financial services. Using the platform, the nonprofit plans to bring financial services to two billion unbanked people in the developing world. Editor's Note: This is a guest post by Jed McCaleb, co-founder and CTO of Stellar.org. Why Stellar? After years of working in the fintech space, I realized that the world’s financial infrastructure is fundamentally broken, leaving billions without resources. As a result, Joyce Kim and I co-founded Stellar.org to create an open standard for financial technology. Since anyone can participate in the network, it can be particularly helpful for the 2 billion unbanked people worldwide. Since the launch of Stellar, we’ve announced several partnerships, spoken at the United Nations and unveiled a new consensus algorithm and codebase.Along with other contributors to Stellar Core — Professor David Mazieres, Graydon Hoare and Nicolas Barry — I had the task of designing this new codebase. I’m excited to share some of the motivations behind the design decisions and to talk about projects that Stellar’s future might hold. One of the key principles that facilitated organic growth of the Internet was its low-level simplicity. With this in mind, we designed the upgraded network with complexity moved to the edges. With simple primitives that can be composed in different ways, the system is robust and maintainable, yet still expressive and powerful. The upgraded Stellar network is more secure, scalable and modular. We separated the network’s responsibilities into multiple components to make them easy to understand, maintain and extend. Stellar Core is now less than half the size of the previous codebase. It stores data in a standard SQL database, making it easier for people to get information out of the Stellar network and interact with it using standard tools and libraries. Graydon’spresentation provides granular details on the movement and locations of data in the Stellar system. One of the main reasons we refactored the code was to implement the new Stellar Consensus Protocol (SCP), which has a unique, provably correct federated consensus algorithm. Distributed systems are complex, and achieving consensus in a decentralized network is even more complex — it requires a fully understood and proven consensus algorithm like SCP, which ensures the network will not fork. For maximum safety, we simulated many failures through unit and integration tests. We also used an interface and model that connects Stellar Core to Kyle Kingsbury's Jepsen tool for testing distributed systems against network partitions. In all these cases, the network halts until quorum can be re-established, at which point it picks up and carries on. The network must halt in these conditions. The other option is to fork, meaning two sides of the network disagree about the state of the world. Not forking is a critical feature of any distributed, decentralized consensus algorithm and the one we've spent the most time trying to get right. Following our overarching design philosophy, we focused on creating simple components that users can combine in complex ways to get the behavior they need. Our approach to smart contracts has been to keep most of the logic outside of the core system so that Stellar Core can scale globally. The two key components of smart contracts on the Stellar network are multi-signature support and the ability to batch operations. Accounts can now have multiple signers with various weights, so you can simply set up m-of-n accounts or other, more complex, access schemes. Transactions are now a series of operations that affect the state of the world. For example, a single transaction can trivially say A sends to B if B sends to C. These abstractions, coupled with the network’s distributed exchange, produce a surprisingly rich vocabulary for contracts. Bonds, escrow, collateralized debt and the Lightning Network are all possible on the network. The live network is entirely run by community participants outside Stellar.org. We want to ensure that the network does not wind up operated or administered primarily by us. Stellar.org contributes to the open-source core protocol, but everything beyond that — everything that actually makes the network useful and valuable — is up to the community! We're currently developing tools and protocols that live above the base Stellar protocol and support future features such as messaging and private transactions. Honestly, I'm most excited to see what people come up with on their own — I know there will be amazing ideas that we haven't even thought of yet. 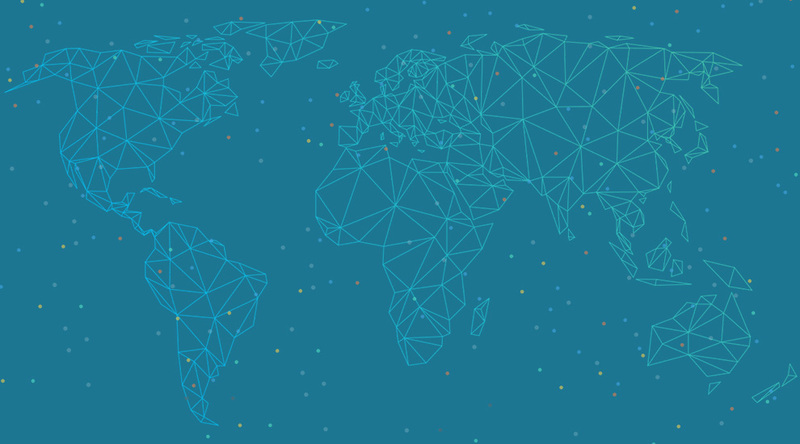 Quote: This smaller, faster codebase supports a network for a truly global economy. Developers all over the world can run Stellar Core on machines with a range of processing power and Internet accessibility. Developers will now be able to build on Stellar's distributed network following an upgrade to its codebase which will also protect it against forking. According to a blog post by founder Jed McCaleb, the upgraded network is now more secure, scalable and modular than before. Quote: "The Stellar Consensus Protocol (SCP) optimises for safety rather than liveness when the network loses quorum – meaning the system is secure against forking. The Stellar Core code is now more comprehensible and elegant. Less than half the size of the previous codebase, it runs faster and uses less memory and disk space." Though McCaleb said there were a lot of "great things" about the new code – which has been nine months in the making – he highlighted two features which would allow the creation of simple contracts; the batching of transactions into a chain of operations and multisig accounts which can be signed with multiple keys and signers. The upgrade comes after Stellar's network was forked in December last year, resulting in temporary disruptions to its transaction system. The news also ignited a debate about the integrity of its and Ripple's network, which use the same open-source protocol that leverages blockchain technology to send fiat transactions. Greg Brockman has been a long time advocate of the digital currency startup Stellar, founded in 2014. He was also partly behind the $3 million dollars Stripe invested in Stellar shortly after its founding, and has been an advisor to the company ever since. In a blog post describing why he joined Stellar’s board he expressed his continued interest in digital currencies, and their potential to impact the world positively. Brockman added that he still sees problems like a seamless user experience, and digital currency advocates resisting integration with traditional financial system. Joining Brockman on Stellars Board is Shivani Siroya, the Founder and CEO at InVenture Mobile, a startup that is trying to provide access to credit in developing markets using mobile technology. Siroya brings years of experience dealing with non-profits, microfinance, and the health industry from working with the United Nations Population Fund and Health Net. Brockman and Siroya will be joining other high profile people in the tech industry already on Stellar’s board, including Stripe CEO Patrick Collison and Investment Partner at Khosla Ventures and ex-Paypal senior executive Keith Rabois. The startups advisory board includes; President of Y Combinator, Sam Altman; Director of the MIT Media Lab, Joi Ito; Founder of WordPress.com, Matt Mullenweg; Founder of AngelList, Naval Ravikant; and Director of the Institute for Technology and Society of Rio de Janeiro, Ronaldo Lemos. Although the startup has seen its fair share of hype, it has yet to be shown helping the developing world, more so than other rivals Ripple and Bitcoin. The Stellar Development Foundation, is attempting to give the digital currency functionality on a text messaging based mobile platform in South Africa. The protocol is also being used as the basis for a peer-to-peer digital currency broker service, a rewards program for a social SnapChat-like app, and various other projects unrelated to Stellar’s core focus of helping the developing world. Last year, things turned particularly sour for the startup when its consensus network failed, and shut down due to a technical error. Without the consensus, people could double spend their stellar currency, as well as manipulate the protocol's accounting history, both key to its function as a sustainable and usable network. Stellar rebounded with a new network consensus protocol developed by Prof. David Mazières, head of Stanford’s Secure Computing Group, that has since remained secure and functional.